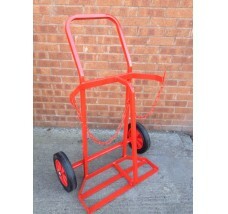 Our Gas Cylinder Trolleys are made from round tubular steel section and have a tough powder coated finish. 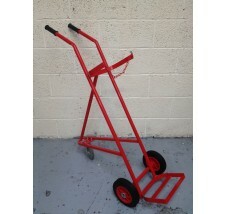 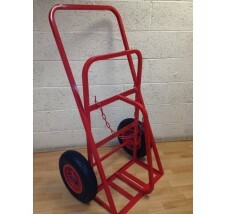 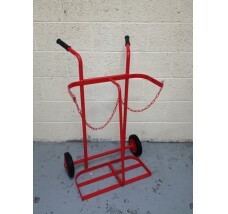 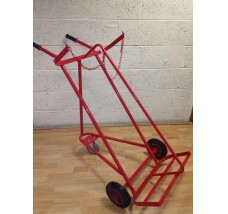 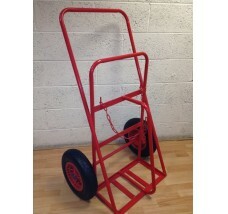 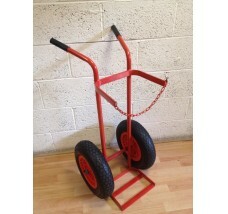 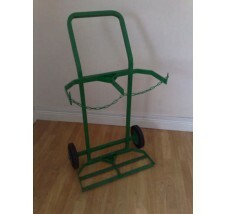 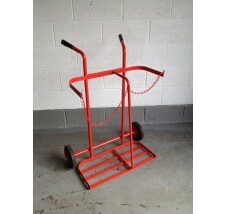 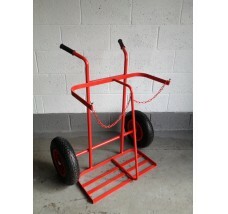 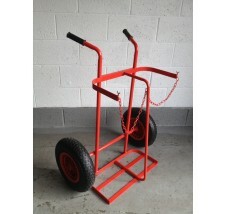 Gas Trolleys are available with both pneumatic wheels and solid rubber tyres. 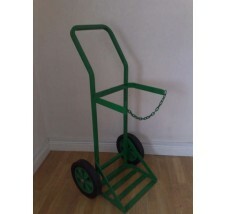 Adjustable chains are also present on selected Gas Trolleys. 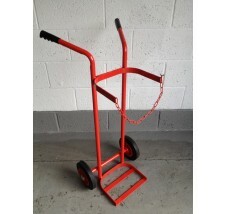 If you need a bespoke Gas Cylinder Trolley to suit specific requirements, or require a different colour finish, please contact us as we can manufacture gas trolleys to suit. 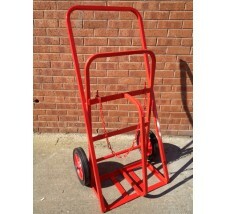 Sizes and dimensions of the gas cyliner trolleys listed are approximate. 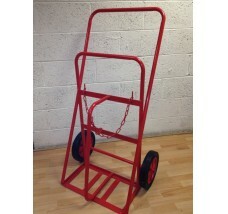 Our gas cylinder trolleys provide a secure and effective way to store and transport your gas cylinders. 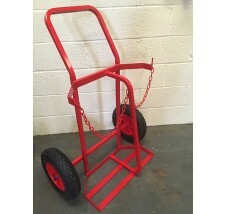 You can order online or call us to discuss your requirements. 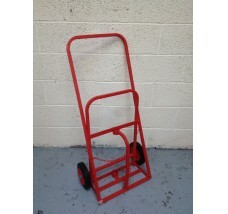 Reflex Trolleys have been manufacturing trolleys since 1981. 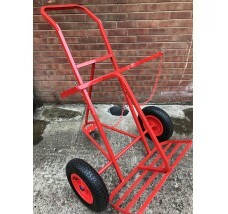 Our trolleys can be adopted to take any gas cylinder dimensions, we can also develop new models to suit specific sizes (please call to discuss). 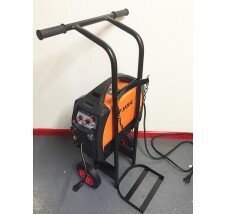 We are based in the UK, just 3 miles from M6 junction 10 (between Walsall and Wolverhampton) in the heart of the midlands where steel manufacturing is at its strongest and most competitive.